Hall. And oats are the goat white duo behind AVB. ball15life, tremonthustler1, Rekkapryde and 4 others dapped this. 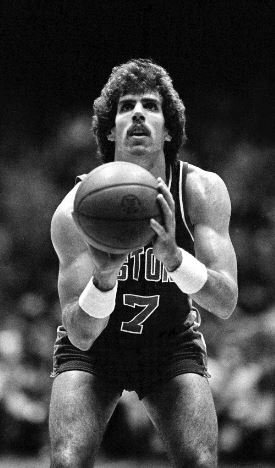 Is that my nikka Kelly Tripucka? old boy, #1 pick and Piff Huxtable dapped this. BelowTheMasonDixon, GUWOPPERS, Rekkapryde and 1 other person dapped this. I remember Hall and Oates Give n Go, they set you up. ball15life and smitty22 dapped this. BelowTheMasonDixon and ball15life dapped this. Rekkapryde and daemonova dapped this. Somewhat apropos re: the timing...he replaced Frank Robby as our manager in '91. Still think Frank got a raw deal, but this guy held his own, especially given the ownership. ball15life, feelsthecitybreathin and G.O.A.T Squad Spokesman dapped this. Lit from start to finish. Easily the GOAT Philly duo..
More iconic than AI and Mutumbo clearly. Hall is the man, but Oates' defensive win shares low as fukk. But Oates' WHIP was beastly.